So what makes a waterfall a waterfall? In other words, how do you define a waterfall? Well, after thinking about this question, it seems that there isn’t a good “catch-all” definition of a waterfall that’s out there in the literature. In fact, there isn’t even a consensus definition or explanation that the waterfalling community can agree on (though there are some attempts at this; some of which influenced this web page). You’d think that with all the importance around waterfalls for tourism, energy, aesthetics, well-being, etc., that there ought to be some kind of formal definition, right? This topic just begs to have an in-depth explanation. In this article, we’re going to delve into this very topic. Of course, we must disclaim that the definitions contained within this page are solely based on our own experiences and opinions. As you’ll see, there’s a degree of subjectivity about a surprising number of aspects of waterfalls. So don’t just take our words as the final word. Get out in the field, make your own observations, and form your own opinion about what makes up a waterfall and which ones are worth your time. The purpose of this page is to stir up some thought and discussion about the subject. Hopefully, this will help you gain an understanding of our thought process when including or excluding waterfalls on this website. 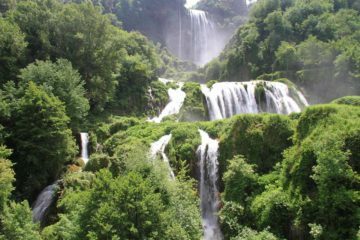 More importantly, we hope this also enables you to better discriminate between exaggerated and legitimate claims in the tourism about particular waterfalls. CAN YOU TELL IF THESE ARE WATERFALLS? While in most cases, we know a waterfall when we see one (at least we’d like to think we do), there are cases where it might not be so obvious. So before getting into the meat of this topic, let’s begin by showing you a sampling of some waterfalls we’ve seen in our travels. For each waterfall presented below, form an opinion whether you think the waterfall in question is a legitimate waterfall or not. So, which of these examples do you think don’t count as waterfalls? Needless to say the first example Månafossen is clearly a waterfall. I just threw that in there for reference. But as you look at the other examples, the answer may not be so obvious or agreed upon for one reason or another. HOW TALL MUST A WATERFALL BE TO COUNT AS A WATERFALL? Admittedly, the answer to this question requires quite a bit of subjectivity. Our answer to this question could very well be different than someone else and we may never come to an agreement. We’ve basing our answer on how height plays into its aesthetics and shape. In other words, does the waterfall’s geometry make it both obvious and pleasing to the eye? 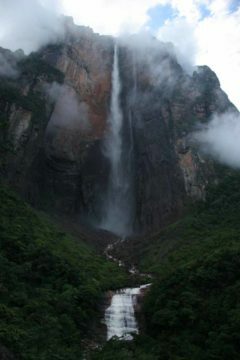 For example, Angel Falls and Iguazu Falls are obviously waterfalls of differing heights and widths. Yet, they’re aesthetically pleasing while being geometrically obvious that you indeed have a waterfall here in either case. 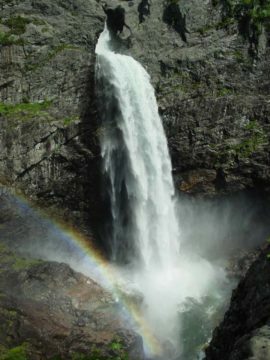 For that matter, we mind as well include the first example in the dozen above (Månafossen) as I’m sure just about everyone will agree that this is a waterfall. However, what if you have a 5ft tall waterfall (not even 2m) and it looks like a waterfall if the stream is narrow enough? In example 4 (Orderville Canyon Waterfall) falls under this category. I’m sure there will be people who say that this waterfall is not tall enough to be legitimate. However, if we didn’t tell you the height and you just looked at the photo, would you have called it a waterfall? So why did this waterfall get attention when there are thousands (maybe millions) of other miniscule ones that don’t even get noticed? That’s because this 5ft waterfall is an obstacle preventing progress further up Orderville Canyon for many without technical canyoneering gear. That’s why it gets noticed and pegged by many people as a waterfall. So we ended up concurring with the local consensus on this and called this one a waterfall even though it’s really stretching our comfort level (perhaps bordering on hypocrisy) on evaluating what counts as a waterfall. Now on the other hand, you could have a 15ft or even a 30ft waterfall engulfed in a very large river where you’d have a hard time being able to tell if there’s a waterfall buried in there or if it’s merely rapids. 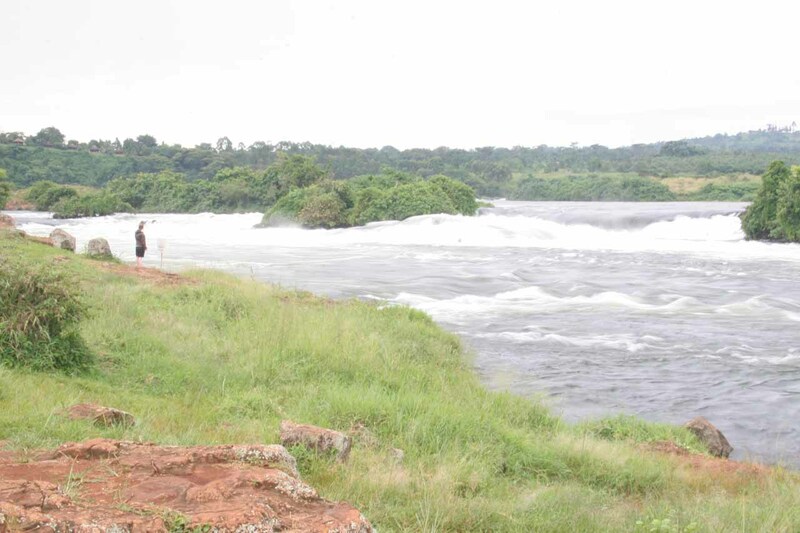 Example 5 (Bujagali Falls) is an example of such a short drop within a wide river (the Nile River to be exact). 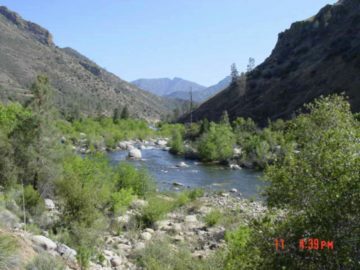 Rapids are sprinkled throughout the Kern River. So would any of those count as a waterfall? 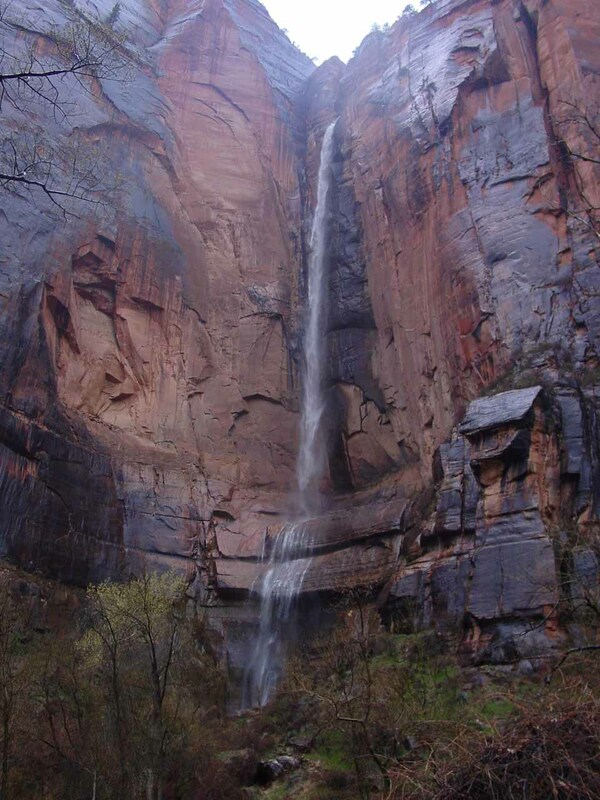 Here, you can make the argument that it’s not really a waterfall, but someone else could easily say it’s a waterfall because the water more or less drops at least 10ft, say (assuming 10ft is that person’s height threshold as his/her criteria). 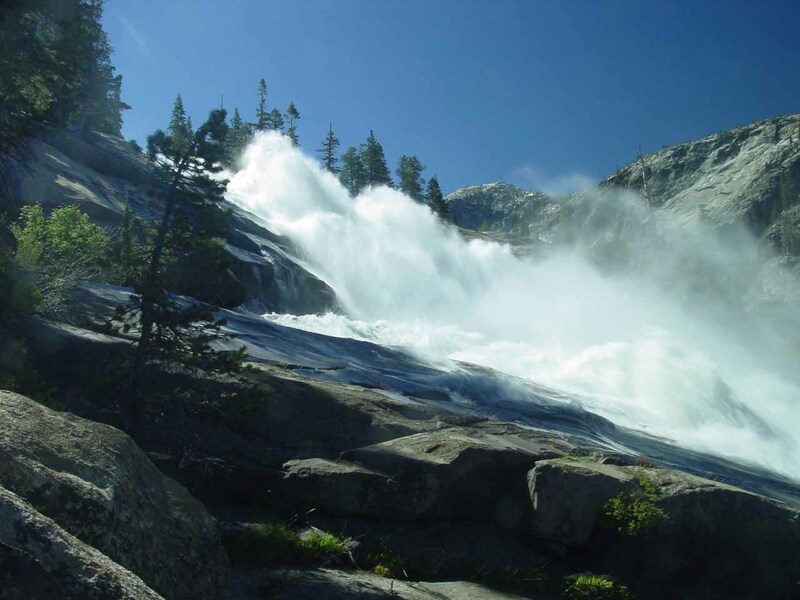 While we’re on the topic, does the rapids of the popular Kern River (a whitewater hotspot for kayakers and rafters) count as legitimate waterfalls? After all, some sections of the river I’m sure drop over 10ft or so (maybe not explicitly all at once, but pretty darn close). We say no, but including this in the discussion demonstrates how it’s not so clear cut what counts and doesn’t count. There are other larger examples where you can make the case that the line between rapids and waterfalls is blurred. 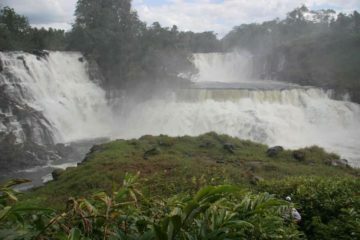 A couple that come to mind are Boyoma Falls in the Democratic Republic of Congo and Ngonye Falls in Zambia. Boyoma Falls on the mighty Lualaba River is said to be a series of cascades and waterfalls (none over 10ft tall apparently) over a 6-mile stretch. By that description alone, I’d be more apt to dismiss it as really a bunch of rapids concatenated together. However, Richard H. Beisel in his book International Waterfall Classification System rates Boyoma Falls as one of the most powerful ones on earth. 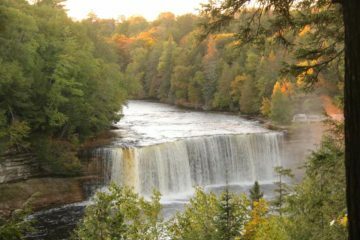 We’ve been unable to find any pictures of it, which kind of leads me to believe that it might be more rapids than noteworthy falls (otherwise someone would’ve visited it and photographed it by now, right?). Now I could be wrong about this assertion since I haven’t been there, but it kind of makes you wonder why there hasn’t been an image that you can look at it and definitively say it’s a legitimate waterfall. Whether political instability, inaccessibility, or something else has caused the dearth of images of the falls is anyone’s guess. Ngonye Falls on the Zambezi River seems to be a legitimate waterfall even though it’s wide and only 10m tall at best. 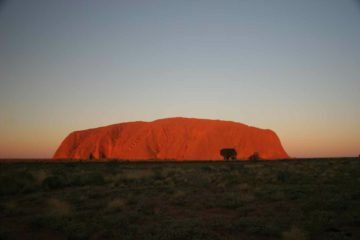 But when you look at the images of this falls, there seems to be a little less doubt about its legitimacy. That said, you can imagine if the Zambezi River is in high flow (perhaps during rainy season) when the river swells and engulfs the drop that it’ll be hard to be able to tell if the falls is in there or not. 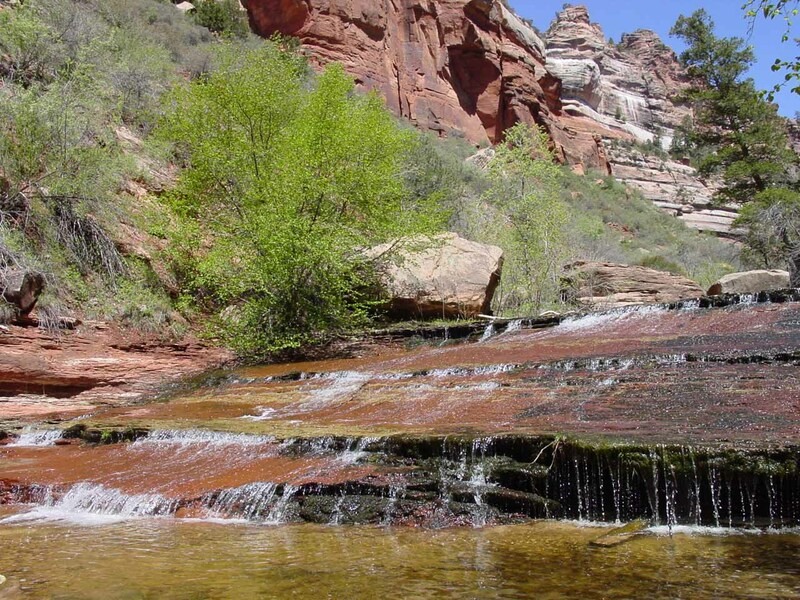 And then there’s the really weird waterfalls like the one in the upper part of the Zion Narrows (Example 11). Here, you have a 15ft waterfall that’s definitely an obstacle (there’s a side trail that goes around it). 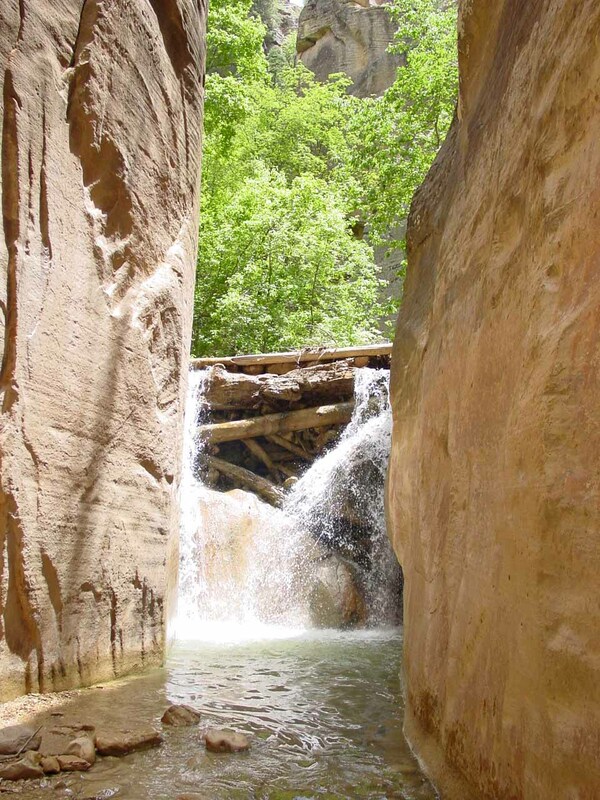 However, if you look at what’s holding the water up, you see there are a few boulders and fallen logs essentially damming part of the Virgin River eventually letting its overflow spill as that waterfall. In other words, you can’t say for sure if there’s an underlying hard rock layer in the river’s bedrock that’s causing the waterfall, or if it’s a temporary happenstance log-and-rock jam where some of the Virgin River went over it. So should this one count? Well, we’ve given the benefit of the doubt on it (going by the aesthetic criteria), but I can totally see that one massive flash flood can essentially obliterate its existence by washing away the things that created the drop in the first place. So hopefully you can see why why we’ve adopted the so-called aesthetic approach. We know this criteria is flawed due to its subjectivity. Nonetheless, we think it’s an easy rule to apply and is less ambiguous than the threshold approach, where you come up with some height number and say it’s a waterfall only if it meets or exceeds that height threshold. Finally, there’s also the question of how you determine the height of the waterfall? Where does it begin and where does it end? Again, this isn’t an easy question to answer and we tackle these questions in other Waterfalls 101 writeups. HOW STEEP MUST A WATERFALL BE TO COUNT AS A WATERFALL? Assuming you’re happy with the height of the rapidly descending watercourse, we next need to ask this question. Once again, we’re going to involve subjectivity and go by aesthetics. If you look at a cascade or watercourse head on or at a nearly direct angle, and you still think it looks like a waterfall from this perspective, then we’ll say it counts as a waterfall. Some of the more obvious examples where this holds true are Example 2 Browne Falls and Example 3 Chilnualna Falls. 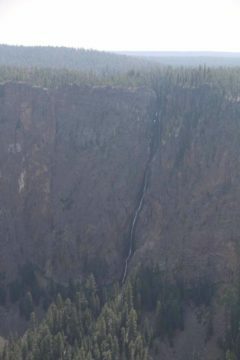 There’s even the Silver Cord Cascade in Yellowstone, which certainly has the steepness given how it appears very legitimate when viewed directly. But what about some of the more marginal cases? 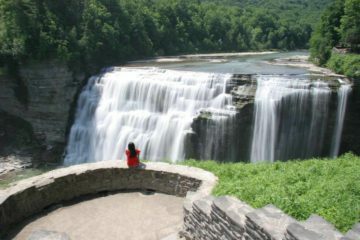 For example, should Example 5 Waterwheel Falls count? 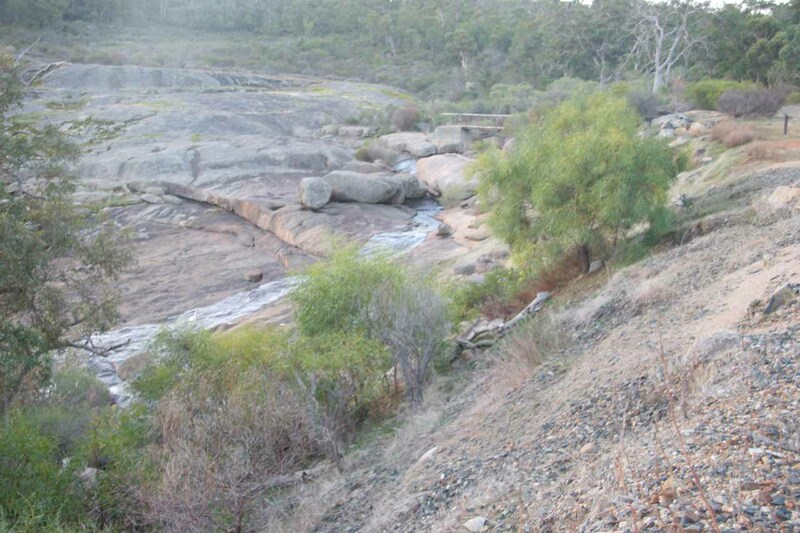 What about Example 9 Hovea Falls? 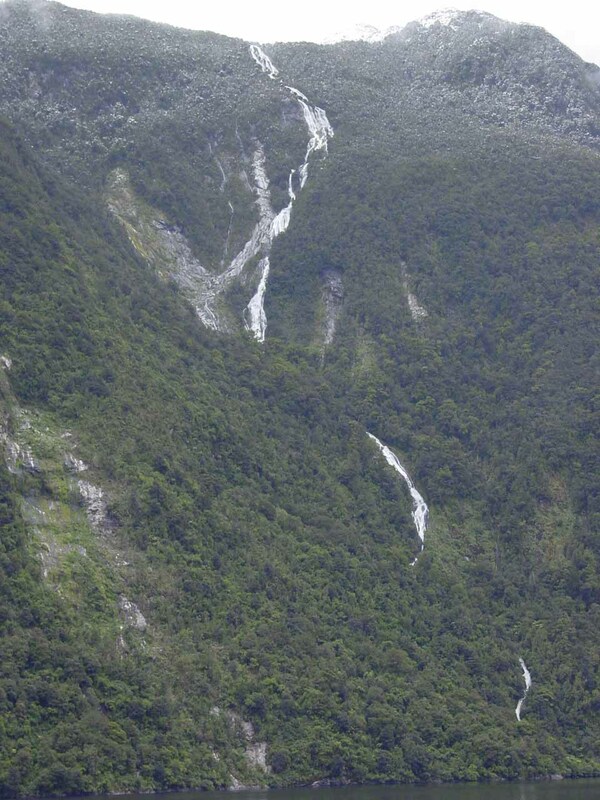 Or what about Archangel Cascades? For the case of Waterwheel Falls, we counted it as a waterfall because it does drop more or less at around 40-60 degrees or so. This is just an estimate as we had no way of referencing the angle of the watercourse to 0 degrees. This waterfall was also helped in that it had the unusual property that you cared how high the water was “wheeling” (being thrown up in the air) instead of how far it dropped! For the case of Hovea Falls, I’m inclined to not count it even though the John Forrest National Park authorities in Australia probably beg to differ. Looking up at the sliding waterwheels of LeConte Falls. Is this waterfall steep enough to be legitimate? As you can tell from its photo near the top of this post, it’s got quite a flat angle. And even if you could look directly at it (hard to do for this one), it’s hard to make a compelling case for it. Finally, in the case of Archangel Cascades, we counted this one based on the direct angle aesthetic criteria. Some of its tiers don’t look like much up close (like the photo shown for Example 10). However, there are some of the upper tiers that look like waterfalls when viewed directly even though you’re supposed to climb the waterfall. And in order to climb the waterfall, it must be shallow and flat enough to do it to proceed further. So like the waterfall height question, we called upon some subjectivity and judgment to answer the slope or steepness question. In contrast, some people have proposed a threshold angle (e.g. 30 degrees relative to the “flat” surface), but we had trouble with this criteria due to the difficulty of even coming up with a more-or-less accurate angle or slope measurement. HOW LONG MUST A WATERFALL LAST TO COUNT AS LEGITIMATE? 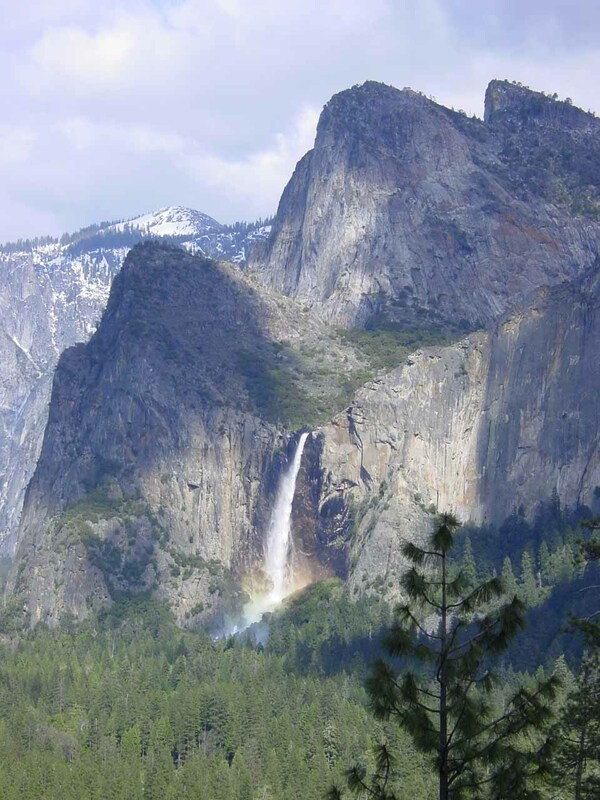 Assuming that the waterfall meets our aesthetic criteria for height and slope, this is an interesting question because some of the most spectacular waterfalls in the world (e.g. Yosemite Falls, Jim Jim Falls, etc.) do not flow year round. 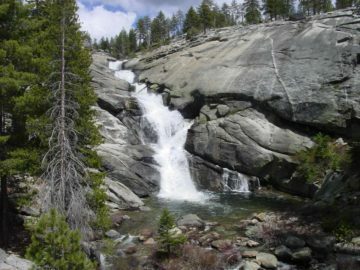 Since Yosemite Falls doesn’t flow year-round, how long must a waterfall be flowing for in order to be considered legitimate? On the flip side, you have waterfalls that may seem legitimate, but they only last a few days or at most a few weeks. 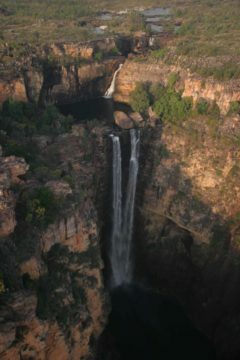 Example 6 above (Temple of Sinawava Waterfall) only lasts about a day or two after some significant rain. And if we didn’t tell you about it lasting for such a short period of time, would you have counted it as a waterfall? Then, you have those that may only last a few days, but it rains so frequently there that you stand a reasonably good chance of seeing the waterfall flow. 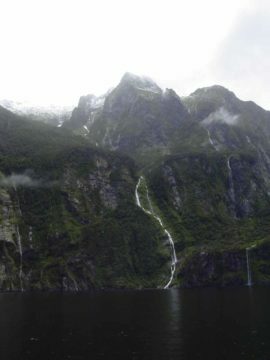 In this vain, Example 8 (Palisade Falls in the Milford Sound of New Zealand is such an example, which is why it seems to have gotten and retained its name whereas other temporary waterfalls would remain nameless. 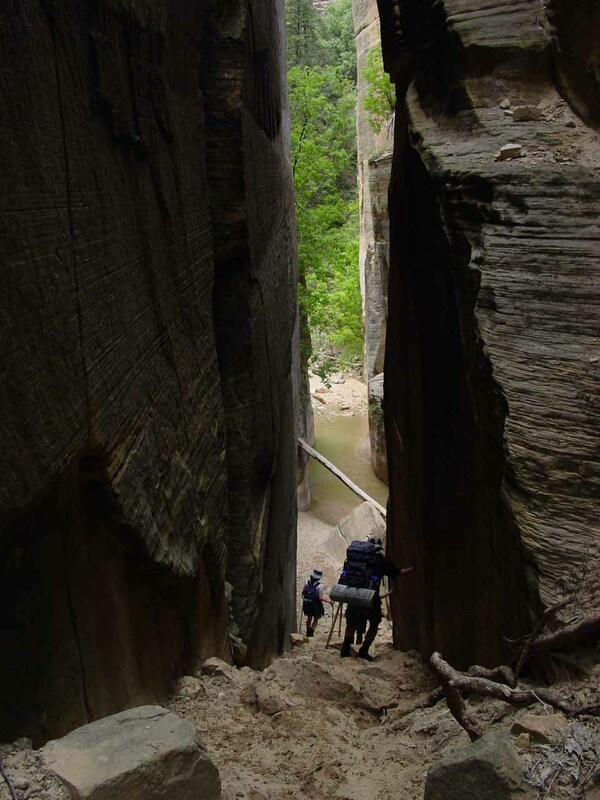 One of the critical concepts for waterfall longevity is drainage. A drainage (also goes by the name of water catchment, watershed, basin, etc.) is where water in some way shape or form (e.g. rain, snow, sleet, hail, etc.) has fallen (as precipitation) to the ground and makes its way to the ocean. While a drainage can be loosely defined as anywhere upstream from the ocean, we’re going to narrow the definition for a particular waterfall. Thus, a waterfall’s sourcing drainage is anywhere upstream from the waterfall itself where precipitation is channeled towards it (If I confused you, you can read this Wikipedia entry). 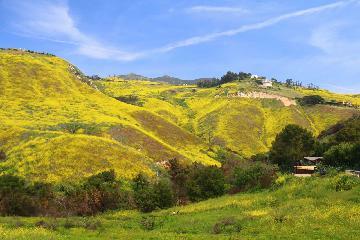 Generally, the larger the drainage, the larger and longer lasting the waterfall. However, this isn’t always the case. 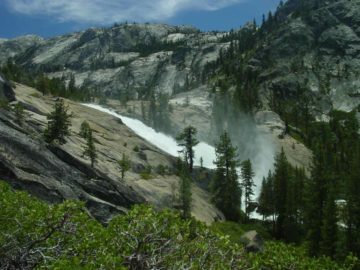 For example, Yosemite Falls has a drainage (mostly in the form of snowpack) covering about 43 square miles yet it goes dry in mid to late summer each year. 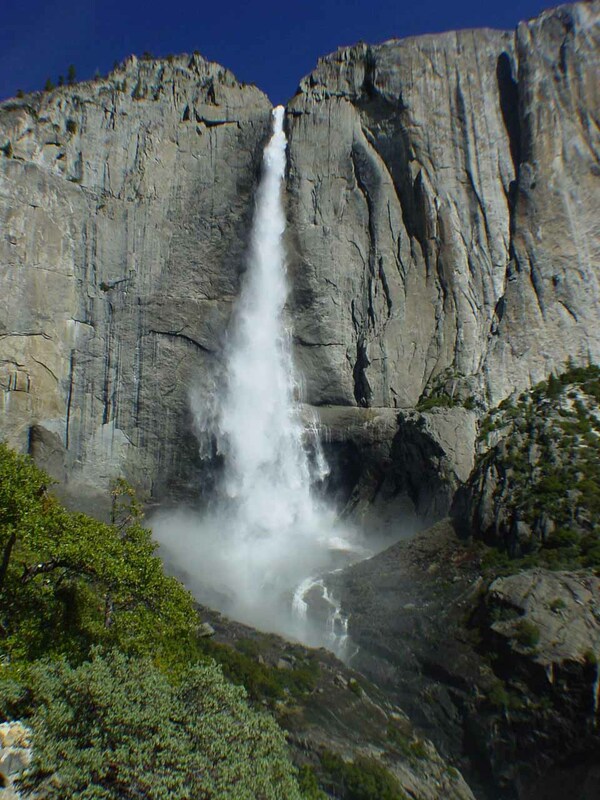 Conversely, Bridalveil Fall with its smaller 25 square mile drainage usually flows year round! Why? Because Bridalveil Fall’s drainage is mostly forested. 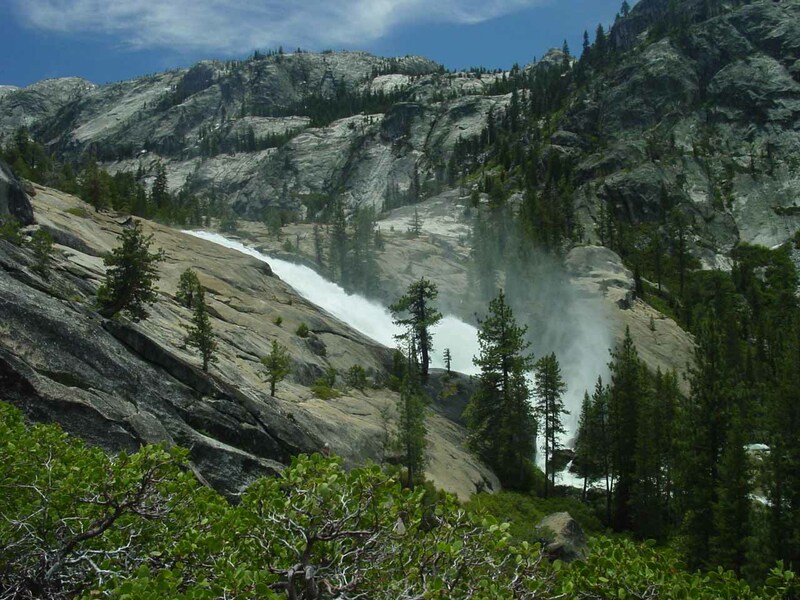 Thus, the vegetation and rich soil tends to retain the water captured in the drainage better than Yosemite Falls’ exposed granite drainage with comparably sparse moisture-retentive vegetation. At the smallest extreme, you have the temporary waterfalls (or ephemeral waterfalls), which typically expire from a few hours to a couple of weeks after experiencing waterflow. 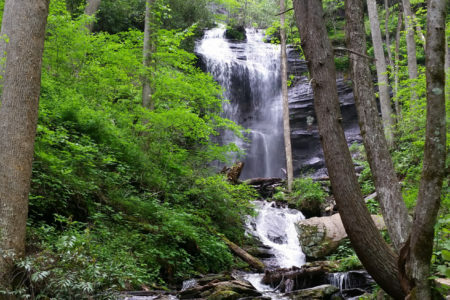 Usually, these waterfalls have either an extremely small or nonexistent drainage, or it could also have a fairly large drainage but little appreciable precipitation as part of its normal weather pattern. Another concept that relates to drainage and waterflow is the state of the water. In other words, is the water a liquid, solid, or even gas? 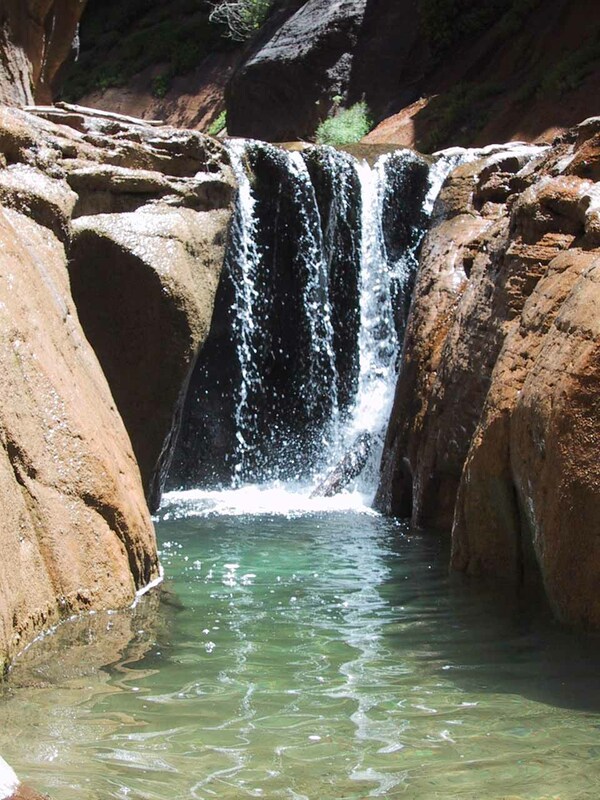 Indeed, the water’s state plays a role in the waterfalls’ longevity and predictability. For example, if a drainage consists of snow and/or ice (e.g. a snowfield or a glacier, respectively), the water is “stored” until it melts and descends further down the drainage towards the waterfall. Waterfalls fed this way are more predictable because we can usually count on spring or early summer to experience waterfalls fed by the meltwaters. On the other hand, while waterfalls fed primarily by rain can be predictable, they’re not as reliable as the snow/ice-fed ones. That’s because water in its liquid form is not locked away as ice or snow. Therefore, the moment the water lands on the ground, it’s already moving towards the ocean. And as a result, these types of waterfalls expire quickly if there is insufficient rain to keep it going. That said, this depletion of the water in the drainage can be slowed down if the drainage is well-vegetated like in the case of Bridalveil Fall. 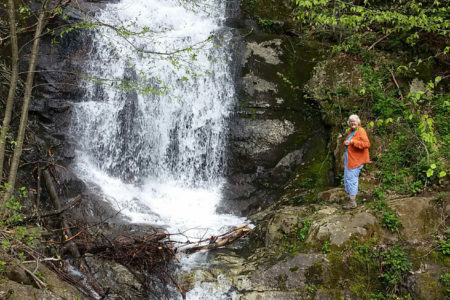 So going back to the question of how long a waterfall must last to count as a waterfall, we really should ask: how likely is it that you stand a reasonable chance of seeing the waterfall flow? After all, if you’re going through the trouble of visiting a waterfall, you’d rather it not be an absolute crapshoot, would you? So instead of determining the legitimacy of a waterfall based on longevity, our criteria is based on the waterfall’s predictability of flow. That way, we should be able to cover the issues with longevity and reliability (or consistency). To illustrate this criteria, let’s run through some examples. Going back to Example 6 (Temple of Sinawava Waterfall), if we apply the predictability principle, we can see this doesn’t count as a waterfall. That’s because it doesn’t last more than a day or two after significant rain, and the onset of rain feeding its small drainage is neither predictable nor reliable. 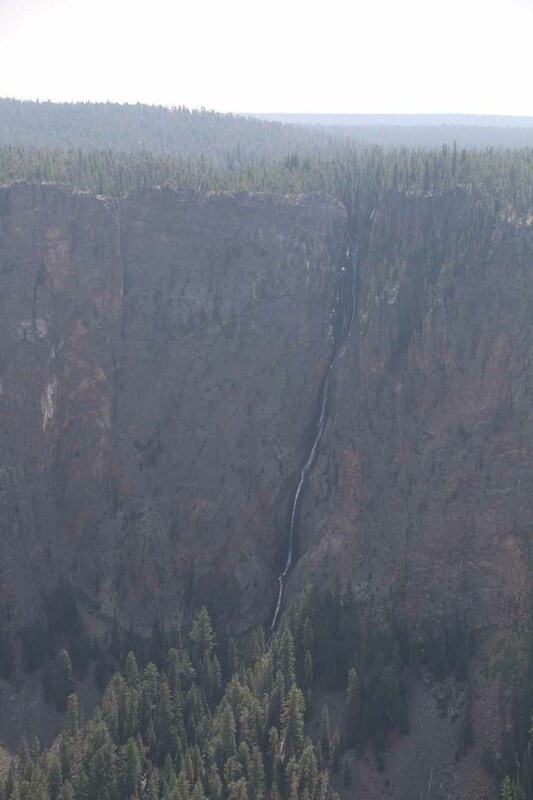 Going back to Example 8 (Palisade Falls), we’re giving the benefit of the doubt and calling this one a waterfall. Despite the fact that this waterfall doesn’t last long, the Milford Sound gets so much consistent rain that you’re likely to see this waterfall if you time your visit for the winter, spring and maybe even summer and autumn to a lesser degree. I know this may be bending the rules a bit because you can argue both ways that this waterfall is predictable and reliable (or not). Horsetail Falls in Yosemite National Park (most famous for its natural firefall effect) is actually a very temporary waterfall. So would it pass the reliability and longevity test? Another example of a waterfall that tests the longevity and reliability criteria is Uluru (also known as Ayer’s Rock) in the red centre of Australia. Typically, the sacred monolith isn’t adorned with waterfalls except for when infrequent heavy rains would occur. 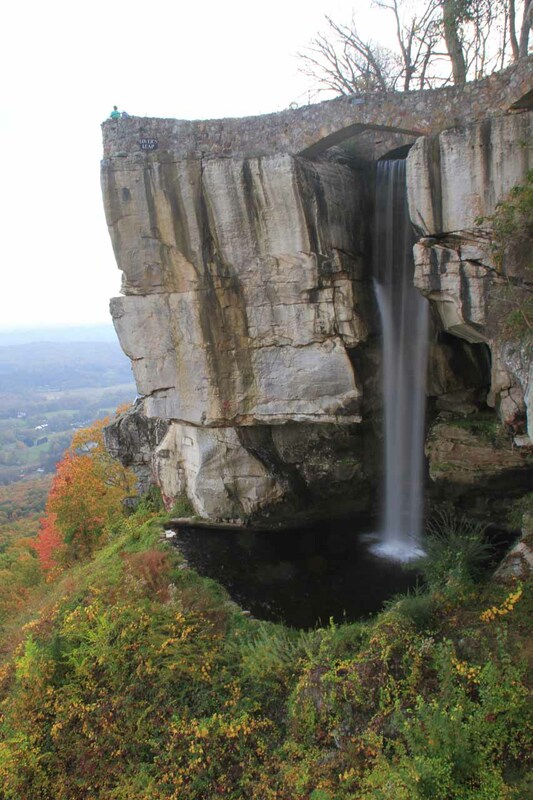 But even if there were waterfalls flowing over the rock, they don’t last very long (probably not even a day). Well, given the erratic (more like sparse) rainfall in the country’s red centre and miniscule drainage, this doesn’t count as a waterfall. 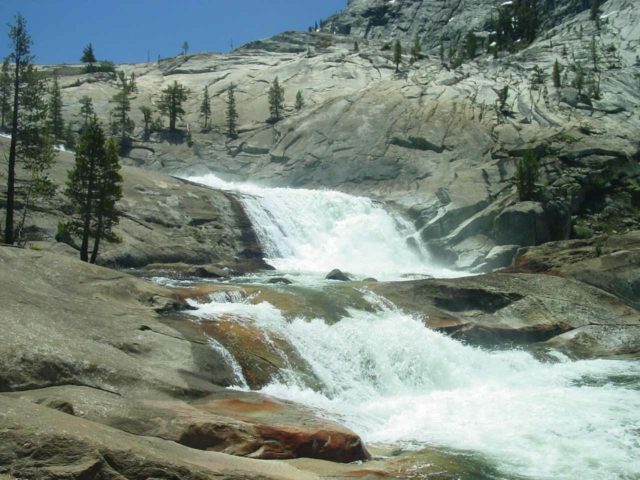 Finally, let’s look at ephemeral waterfalls that are fed by snowmelt. 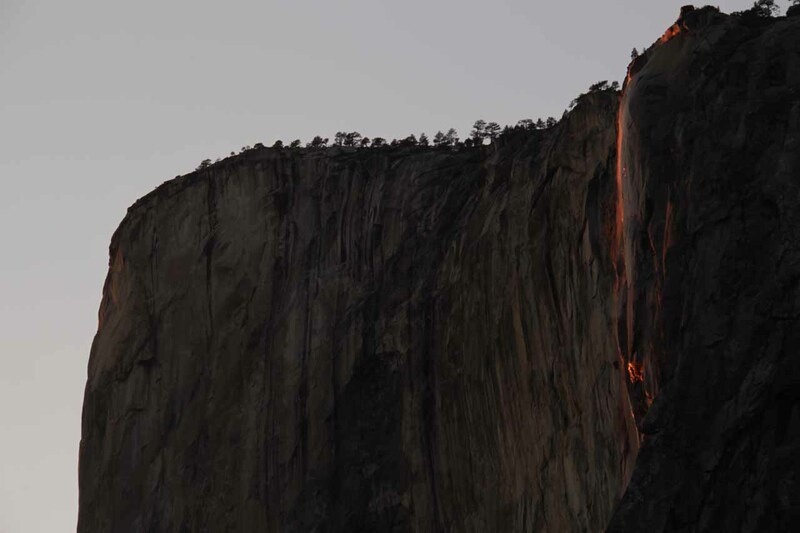 There are numerous examples of this in Yosemite National Park such as Horsetail Falls, Staircase Falls, and Widow’s Tears. 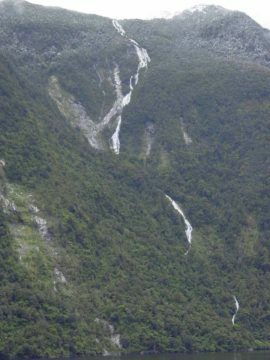 We’d count all of these as waterfalls despite their small snow catchments because you stand a good chance of seeing them flow if you come when the snowmelt is greatest for each of their respective drainages in February/March, March/April, and April, respectively. WHAT HAPPENS IF HUMANS INFLUENCE OR CHANGE A WATERFALL? One thing we didn’t cover in this page so far when it comes to determining the legitimacy of a waterfall or not, is intervention by man. In other words, does it count if the waterfall was manmade, or the watercourse was altered by man in such a way that it caused (or destroyed) a waterfall? In our opinion, we say no. 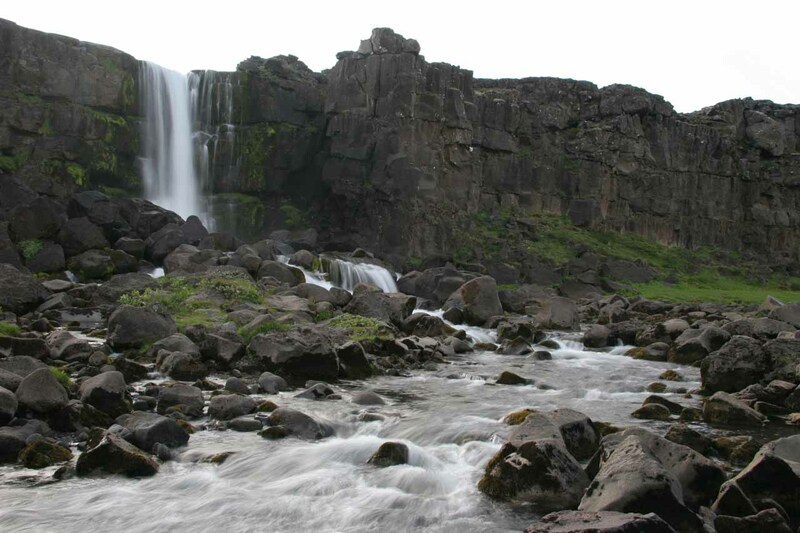 So that means Óxarárfoss in Iceland doesn’t count because its stream was diverted hundreds of years ago to supply water to the Assembly or alþing. Similarly, the Mossy Cave Waterfall in Bryce Canyon National Park as well as the Cascata delle Marmore in Terni, Italy don’t count because their streams were also diverted. In the case of Mossy Cave, its stream is part of the Tropic Ditch to funnel water towards the nearby town of Tropic. 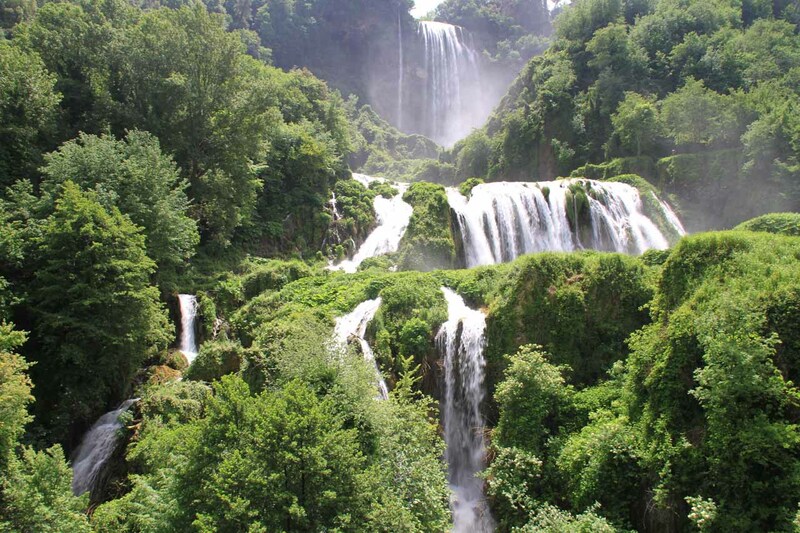 Meanwhile, for Cascata delle Marmore, the Romans created this waterfall after their bit of water diversion to reduce the swamps and incidence of biting insects nearby. All other artificial waterfalls you might see in shopping centers, water parks, golf courses, even Anaheim Stadium do not count as waterfalls due to their manmade nature. However, there are a few cases where waterfalls were modified by man for one reason or another, and the falls would’ve still been there if man left it alone. 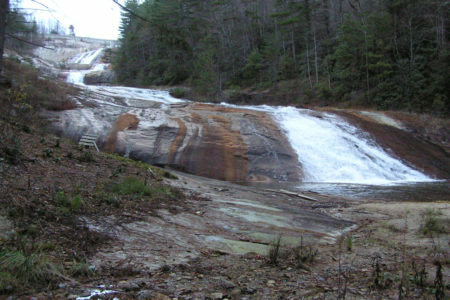 Under those circumstances, we’d consider these legitimate waterfalls despite their altered status. 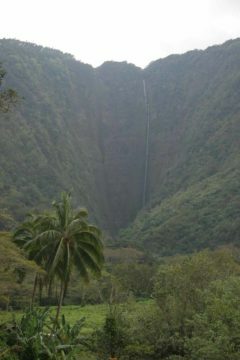 Examples of this are Reid Falls and Ali’ele Falls in Hawaii. 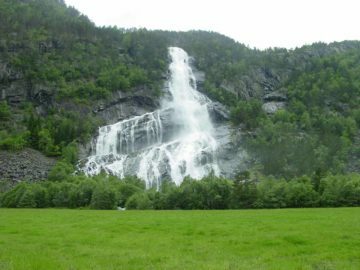 You could also throw in those affected by hydroelectricity such as Mardalsfossen and Vøringsfossen in Norway. Heck, even the mighty Niagara Falls is similarly affected by man! 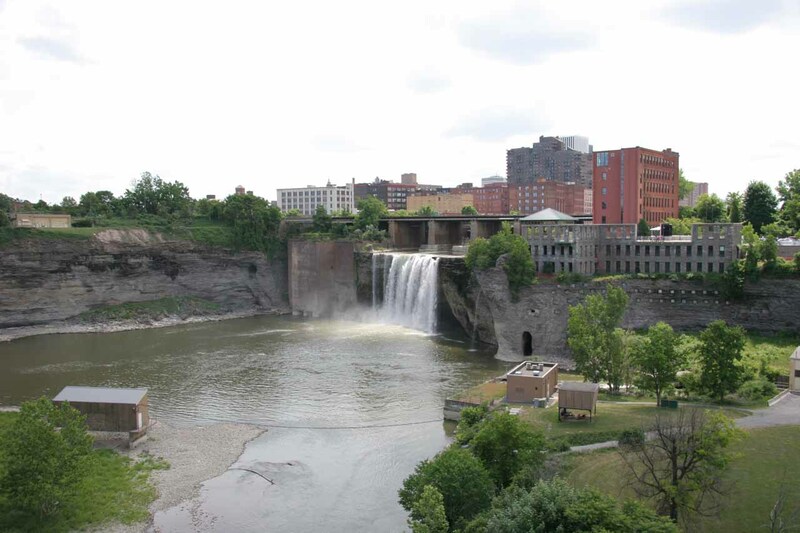 Also, waterfalls that appear out of place due to urban sprawl count if the waterfall was left in place with the development occurring around it. Thus, High Falls of the Genesee River in Rochester, New York counts as well as Niagara Falls. Still, there are cases where human intervention resulted in the unpredictability or unreliability of a waterfall (usually by diverting the feeding watercourses for hydroelectricity or agriculture) or the destruction or disappearance of a waterfall (by submersion in reservoirs). Under these circumstances, we’d say the waterfall can no longer be considered legitimate. Such examples of the water diversion variety include numerous waterfalls in Norway (e.g. Tyssestrengene, Mongefossen, Ringedalsfossen, Rjukanfossen, etc.) as well as many in Hawaii (e.g. Kaluahine Falls, many Hana Highway Waterfalls, and perhaps even Hi’ilawe Falls). 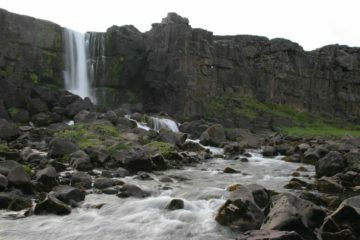 Examples of submersion or destruction of a waterfall include Rippon Falls at the Source of the Nile in Uganda, Sete Quedas on the Brazil-Paraguay border (which existed before the Itaipu Dam was finished), and Töfrafoss in Iceland (before the Kárahnjukar Dam was well on its way to completion). 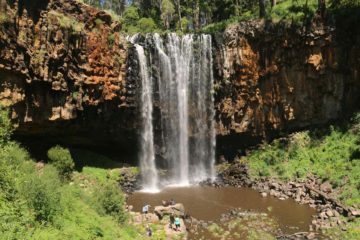 Finally, another twist to this topic of human influence on waterfalls is that with the advent of Global Warming and Climate Change as well as more hydroelectric and agricultural interference, the longevity of waterfalls around the world is diminishing. As a result, in the future, we might have to adjust our definition here or else exclude more waterfalls from the exclusive club of legitimate waterfalls! Well, that’s all we have to say about the definition of a waterfall. However, there’s so much more that can be said about this topic. If you’re interested in delving deeper, the World Waterfall Database has a more in-depth technical discussion.